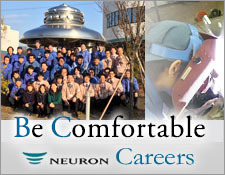 Product Information | NEURON JAPAN Co., LTD. Taking advantage of the unique design and manufacturer of expansion joints technology accumulated over many years, such as pressure vessels and various special valves/dampers, we are taking a big leap as a total breakthrough manufacturer of total plumbing system. On top of this, we are also focusing on the development of special pipes of extra-large diameter, long size or thinner materials. In addition to our unsurpassed know-how dedicated to high-temperature, high-pressure, and ultra-high vacuum, we are aspiring broad market share with precise-piping technology. *Dedicated login information is needed to view the web catalog. Those who wish to obtain this information may make their request here.